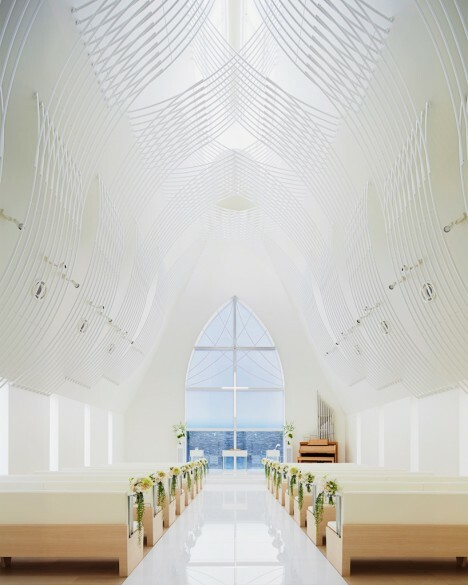 Dramatic and sculptural, monolithic as a stone monument or light as a bridal veil, these churches, chapels and meditation rooms eschew conventional architectural typologies for places of worship, prioritizing the way the structures make visitors feel while they’re inside. 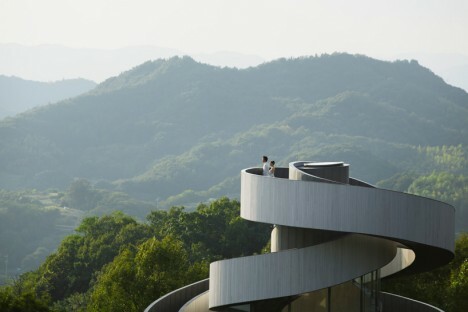 Some emphasize a connection to nature, while others encourage internal reflection or symbolize the act of marriage with unexpected visual metaphors. 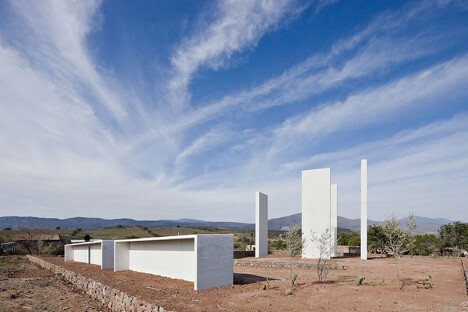 Reinterpreting the stark, minimalist works of sculptor Richard Serra in architectural form, this blade-like chapel rises from the flat grasslands of Serbia, offering a space for meditation. 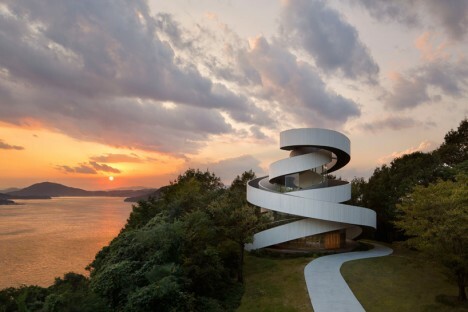 Stockholm-based architect Predrag Vujanovic creates a strong perpendicular line contrasting the landscape with just two main elements: the folded steel of the roof, and the cortex steel sheets making up the ramp. 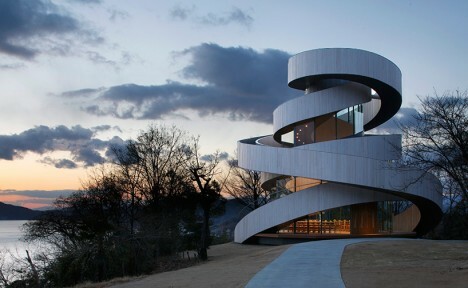 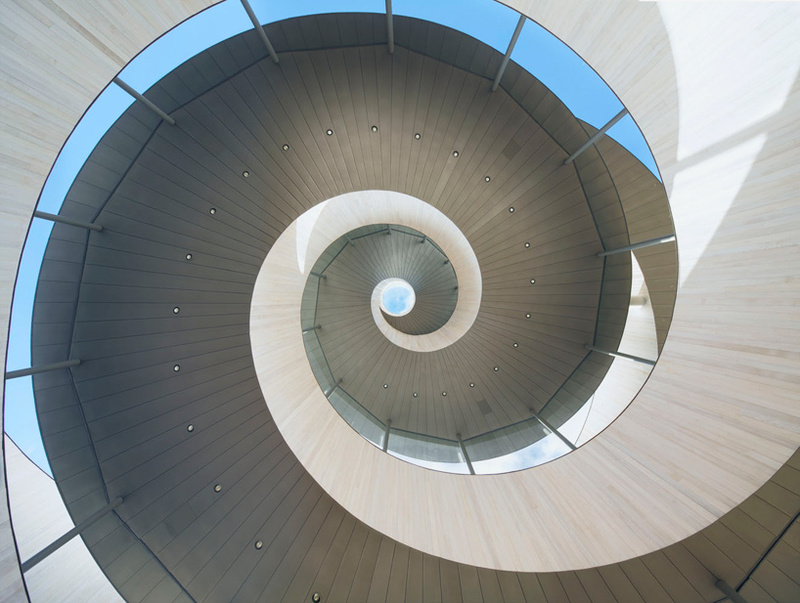 Japan’s most striking wedding chapel consists of two separate stairways that spiral up to the sky, joining into an observation platform looking out onto the sea at the pinnacle. 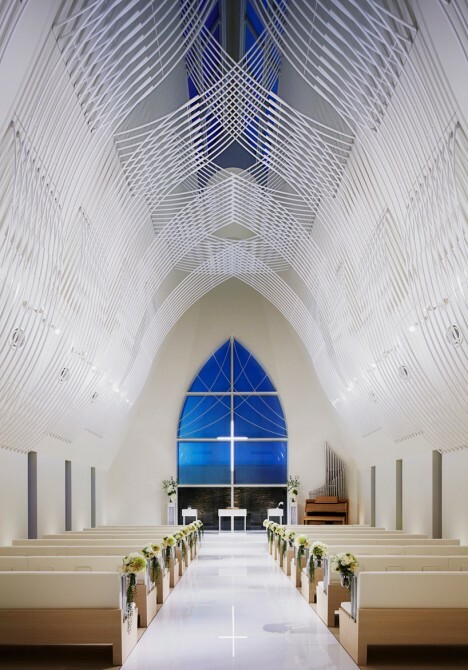 The space beneath is glassed in to create an airy interior fitting up to 80 guests. 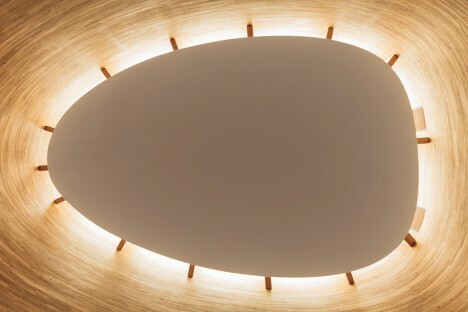 From the center of the nave, one can look straight up into the oculus skylight framed by the spiral of the ramp. 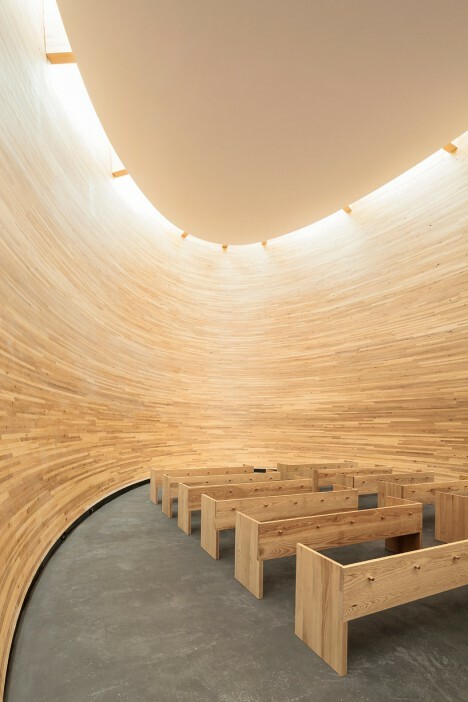 Solid wood and windowless, this egg-shaped chapel on the southern side of busy Narinkka Square in Helsinki, Finland offers a quiet place of refuge. 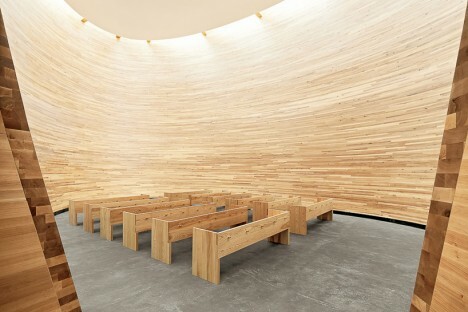 CNC-cut, glue-laminated sections of timber create the curving walls of the striking space, leading the eye upward to the void between the perimeter and the roof, where sunlight streams in. 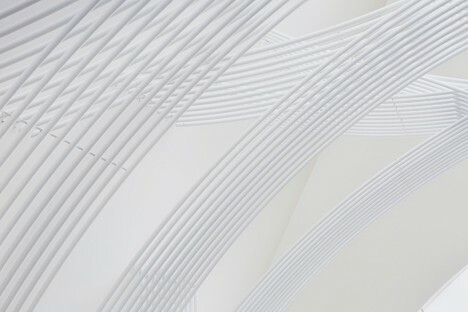 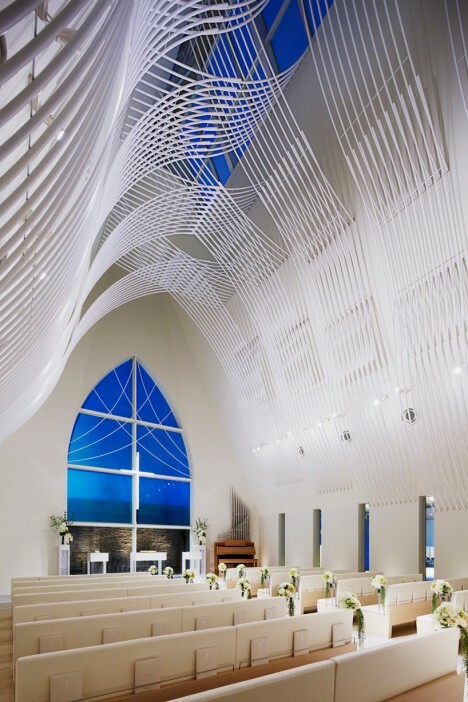 A series of white pipes climb the walls of the St. Voile Chapel by Kasahara Design Work, interweaving in flowing organic patterns as a visual metaphor for marriage. 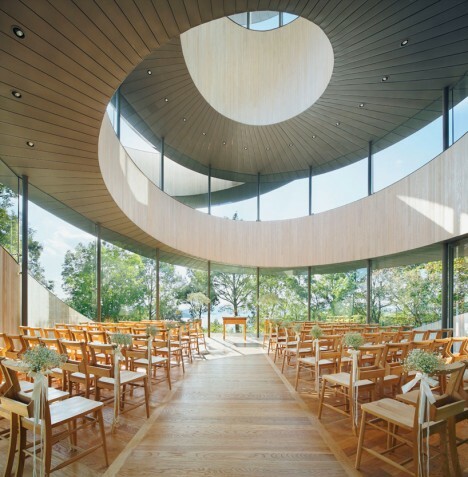 Located on the banks of Niigata’s Shinano River, the chapel is largely defined by the play of daylight on these interior lines, which streams in through a pair of skylights at the pinnacle of the steep and narrow roof. 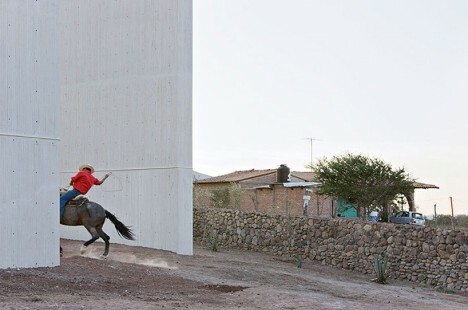 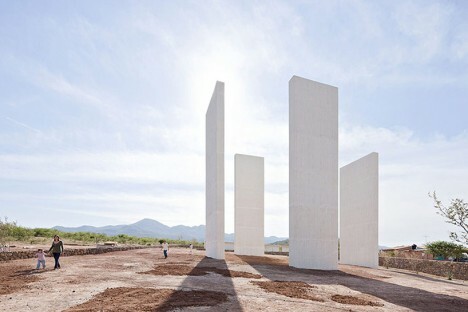 Set against the landscape of Lagunillas, Mexico like a series of four monumental stones, the simple white elements making up ‘Gratitude Open Chapel’ by Tatiana Bilbao + Dellekamp Arquitectos don’t actually form an interior space at all, but rather an outdoor gathering place for pilgrims making the holy ‘Ruta del Peregrino’ route.